Daniel K. Ickes was born and raised in Western Pennsylvania and received his Bachelor of Science degree at the University of Slippery Rock. He believes he is a visionary with an extraordinary ability to implement effective change to meet the demands of economic fluctuation and capitalize on new growth opportunities. Ickes chooses to lead by example, a characteristic instilled in him since he embarked upon his YMCA career over the last 33 years. His vast experience serving three diverse and dynamic associations, a multitude of volunteers on various levels of know-how, and developing future Y leaders has fueled his passion. In April 1985, Ickes started his YMCA career as a Director of Member Services at one of the largest Downtown YMCAs in the country, YMCA of Metropolitan Washington, with a membership base of over 8,000 and an annual budget of over $5M. He learned Membership and Quality Program Development and was responsible for the preparation and management of the Health and Fitness department budgets of $1M+ annually. In 1991, Ickes moved to North Carolina and became the Executive Director at the Lake Norman & Mooresville YMCAs. Some of his responsibilities included daily branch operations of two YMCAs with a combined $3.5M budget. As Executive Director, he grew the annual budget from nine hundred thousand dollars to well over $3M & developed plans for a Lake Norman Family YMCA $2M expansion; raising $1M+ for Capital Project including government funding. He assisted in merging two branch YMCA volunteer boards to form a regional board. Ickes became the Regional VP and then Senior VP of Operations at the YMCA of Metropolitan Washington. As Senior VP of Operations, he was responsible and accountable for sixteen YMCA locations by direct reports from VPs of Operations, District Executives and Executive Directors, he worked with influential community leaders, local County Government officials and developed relationships on the Federal Government level to secure a long-term land lease for a new YMCA. Ickes also participated in Public Policy matters for the state of Virginia and was part of a team of Virginia YMCAs in changing public policy in Child Care and Taxation of YMCAs. An opportunity opened at the YMCA of Central Florida in 2004, and he took on the role as Executive Vice-President of Operations. As the EVP of Operations, he led staff in areas of Membership Development and Program Development, along with creating relationships in sales training with all Membership Directors and Executive Directors. He was part of opening two Disney Childcare Centers that serve over 650 children each day, the expansion of eight family centers, increasing the square footage by over 80,000 SF collectively, renovating a resident camp and completely rebuilding a YMCA. Annually, he helped produce association cash flow of $1M to $4M. 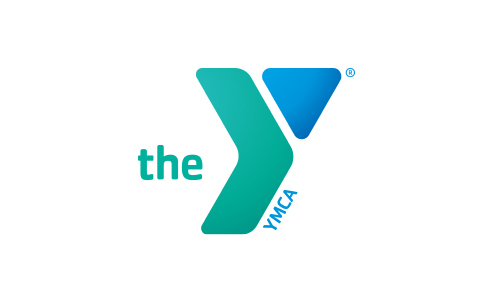 In January 2015, Ickes became the Chief Operating Officer of the YMCA of Central Florida. Currently, he leads operations in 20 Family Centers across Central Florida, 70 School Sites, and 10 Work site/wellness centers. He manages over 2,200 Team Members and has been instrumental in raising over $3M annually for the association, including Community Outreach locations. As the COO, he is also responsible for future development projects and any renovations that take place within the association. He currently teams up with leaders in the regions across Central Florida within the five-county area to enrich our communities.